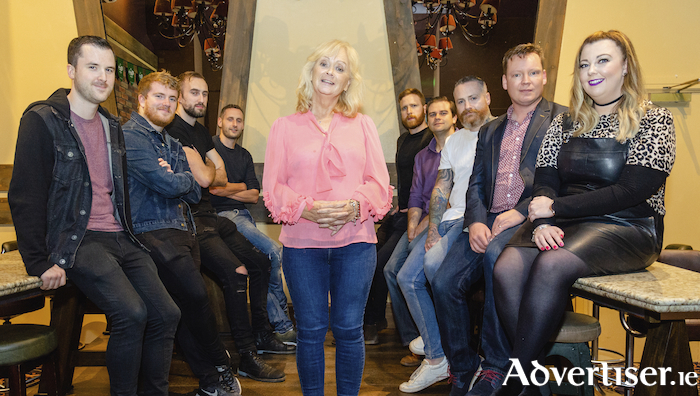 THE AMAZING Apples and Rofi James, along with iRadio's Louise Clarke, will join forces for the Gig Against Cancer to raise funds for Cancer Care West's Inis Aoibhinn facility and East Galway & Midlands Cancer Support. Local woman Anne Geraghty was diagnosed with liver cancer in February and has since undergone chemotherapy and had three-quarters of her liver removed. During Anne’s difficult road to recovery she visited both Inis Aoibhinn, a facility run by Cancer Care West, which provides a supportive home away from home environment, and East Galway & Midlands Cancer Support, which provides practical, emotional, and social support for people living with cancer. Moved by the level of care that both Inis Aoibhinn and EGM Cancer Support provided for her mother, Anne’s daughter Laura, and son-in-law Darragh, founding member and front man of the Amazing Apples, are hosting a fundraising concert to raise much needed funds for both non profit organisations. The show takes place in The Loft, Seven, Bridge Street, on Saturday September 22 at 9pm. Following the Amazing Apples and Rofi James, there will be a DJ set by Louise Clarke. Tickets are €10, with all proceeds going to both EGM Cancer Support and Inis Aoibhinn. Additional support is also welcome.